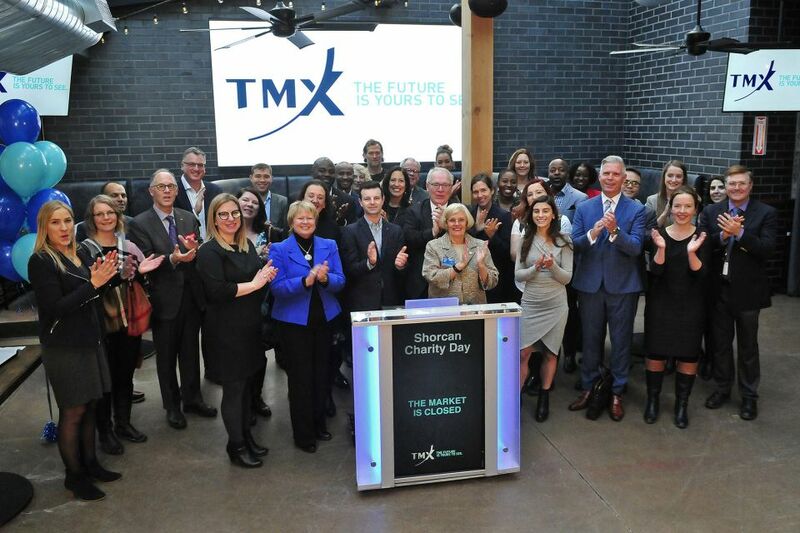 January 25, 2019 (TORONTO) – Shorcan Brokers Limited (Shorcan), TMX Group's fixed income interdealer broker, held its 21st Annual Charity Day on January 24, 2019, raising more than $720,000 in support of a range of Canadian charitable organizations. Each year, Shorcan donates revenue from the trading day to a variety of designated charities, resulting in a total of $9.9M raised since the inaugural event in 1999. "Shorcan is proud to host its Annual Charity Day contributing to organizations that provide vital services and aid to our Canadian communities, the places where we live and work every day," said Michael Gibbens, President, Shorcan. "I thank our clients for their unwavering support of this initiative and the Shorcan team for their dedication to making this event a resounding success."